Maiah Wynne is a multi-instrumentalist tour-de-force with a show that appeals to people of all ages and backgrounds. Often compared to the likes of Ingrid Michaelson, Daughter, Cat Power, Sarah McLachlan, and Billie Eilish, there is a recognizable beauty and talent in her voice, but her song craft and style are uniquely her own. She fluently transitions through modern and traditional instruments, like the dulcimer, oil can ukulele, keys, guitar, and synth pad, while her feet do the percussive work. What emerges is an engaging experience threaded through by Wynne’s enchanting voice and meaningful lyrics. 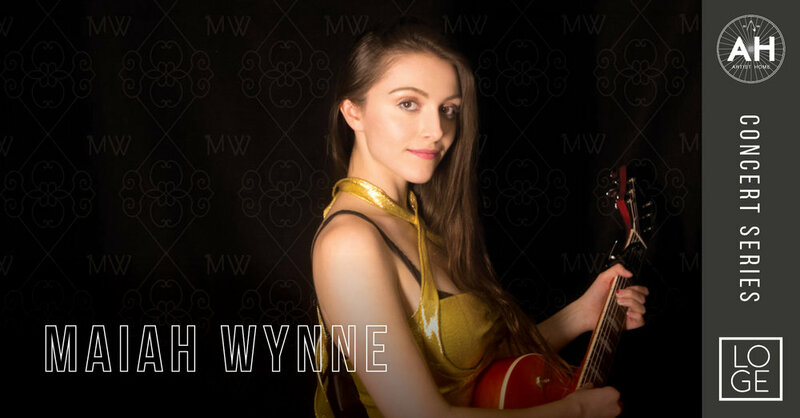 At just 22 years old she has won a host of awards and performed on some of the most prestigious stages in the country including featured appearances at Sundance, South by Southwest, Upstream Music festival, and in studio performances on KEXP. Maiah most recently placed 2nd in The Museum of Pop Culture's Sound Off 2018 competition, and she is currently collaborating on an EP with Alex Lifeson of Rush.